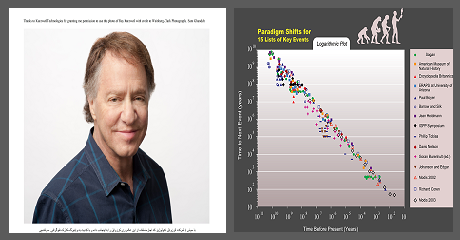 Ray Kurzweil (1), the prominent Visionary Futurist of our times, has shown us the exponential growth in all realms of life, even Accelerated Returns in food production (2). But exponential growth proliferates side-effects, not just in fields such as genetic engineering where the side-effects of Gene Therapy and GMO have become serious impediments to their advancements (3), but even simple chemical products like Roundup weed killers are facing problems of side-effects such as lymphoma of farmers. In the past, futurists like Robert Jungk (4) had to face issues of not considering side-effects of nuclear energy in the aftermath of Hiroshima tragedy (5). Today we can say the proliferation of side-effects due to exponential growth is in every realm of human life, and needs to be tackled by all modern futurists (6) no matter what their field of focus may be, as humanity is approaching Kurzweil's Technological Singularity (7). In fact, this perspective is a deeper meaning of futurism (8). 3. Predictive Analytics of Gene-Editing Side-Effects Beats Cancer, but! پیش بینی عوارض جانبیِ تغییر ژنی، سرطان را شکست خواهد داد، اما!